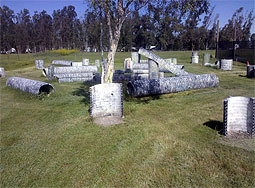 Midway Paintball Field is an outdoor paintball field located near Fairfield, Napa, and Sacramento in Vacaville, California. 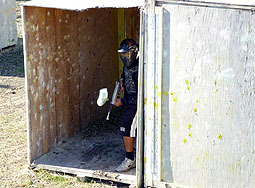 Midway Paintball Field is also convenient to Woodland and North Highlands, as well as other cities near North Vacaville. See the chart below for distances and drive times to other cities and points of interest. 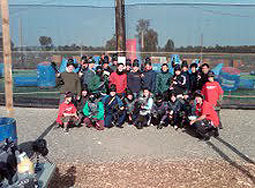 Midway Paintball Field is one of the biggest, best, and most fun paintball fields in Vacaville, California. It was started and continues to be run by people who love paintball and bring a great perspective to create a unique and fun field. players grouped behind bunkers for moral support Lone ranger ready for action! 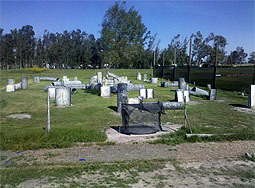 Midway Paintball Field is located on many acres and consists of tons courses. 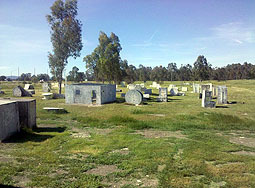 Midway Paintball Field also features a variety of field types. You'll find both air ball and large wooden bunkers. One field features large tubes to hide in and around. There are also areas with Bunkers and trees for hiding and defending. 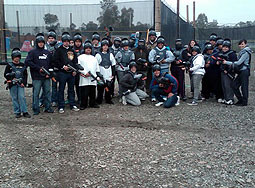 Midway Paintball Field is great for groups both big and small! 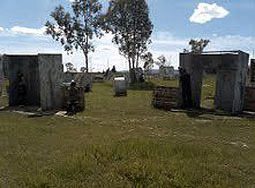 Midway Paintball Field features a great environment for many different types of groups. 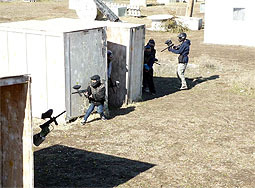 The air ball course at Midway Paintball Field lends itself to several interesting types of games. 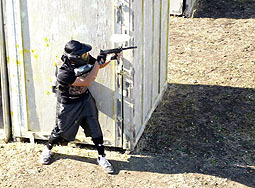 The Wooden Bunker area at Midway Paintball Field lends itself to several interesting types of games. The Bunkers are not only great to hide around, but inside as well adding an interesting element to the game. 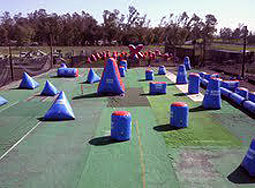 The hyper ball course is great for burning off extra energy as the ability to crawl through obstacles is added to the game. 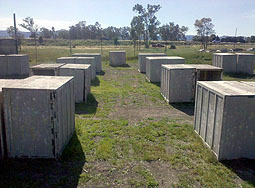 Midway Paintball Field is a "Field Paint Only" paintball field (FPO). 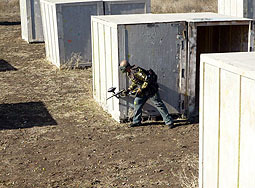 This means that only paintballs purchased from Midway Paintball Field on the day of play may be used at Midway Paintball Field. For your safety and the safety of others, the consumption of alcohol or other drugs that may impair your judgment or coordination is not allowed before or during your visit. Do not bring alcohol onto the premises. 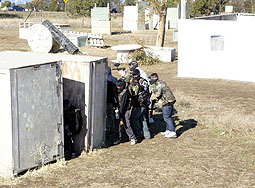 Midway Paintball Field reserves the right to eject any player(s) without refund that its employees think may be impaired or bring alcohol or other drugs onto the premises. 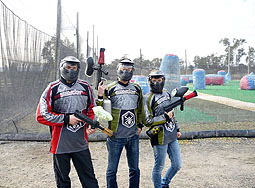 Midway Paintball Field is ideally located for people living or traveling in Vacaville, California.